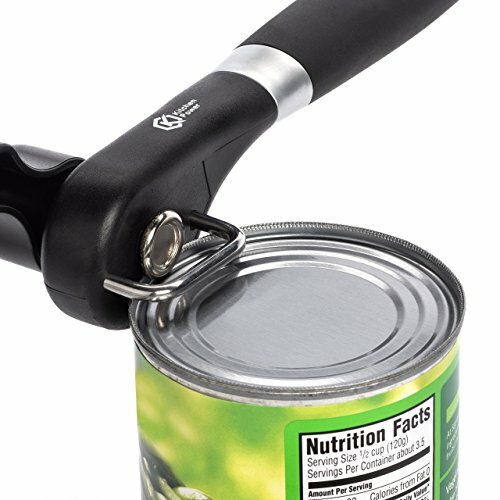 STARTING TODAY: Open Your Cans With Unparalleled Ease Using The #1 Can Opener By Kitchen Power! Are you sick and tired of struggling over your canned food, trying in vain to open it without making a mess in the kitchen? Do you often harm your hands due to the rough edges of the poorly-opened cans? Put An End To These Problems Using The Best Can Opener, Designed To Cut Tin Like Butter In Seconds! No matter if you want a great can opener for your food cans, your pet’s cans, or for professional use in restaurants, the Kitchen Power tin opener is just the right choice. Use It With Peace Of Mind; No More Injured Hands & Bleeding Fingers! When opening your cans with knives, you are not only risking cutting your fingers but you are also leaving sharp edges behind, which can be rather dangerous for you and your children. With the ultra sharp blade of this manual opener you can remove the can’s lid evenly. The result will be a perfectly open can with no sharp edges. Note also that if you are into DIY project you can repurpose your smoothly cut and empty cans for your creative ideas! Convenience At Its Best - A Must Have For Your Kitchen. 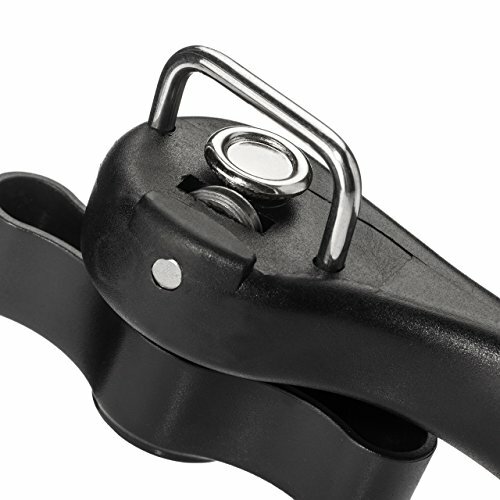 The black compact design of this can opener, along with the hanging hole for easy storage make this manual tin opener a great addition to the equipment of any cooking lover, while it is a great present idea for any camping or cooking enthusiast. Your Satisfaction Is Guaranteed. Don’t Squander It. Order Yours Today! OPEN YOUR CANS HASSLE FREE: Thanks to its extra sharp blades, this amazing can opener slices through the side of the can, and lifts its lid in seconds. 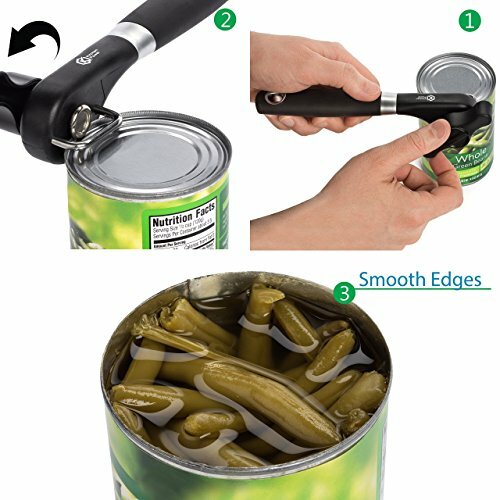 No need to struggle with dangerous knives to open your cans. 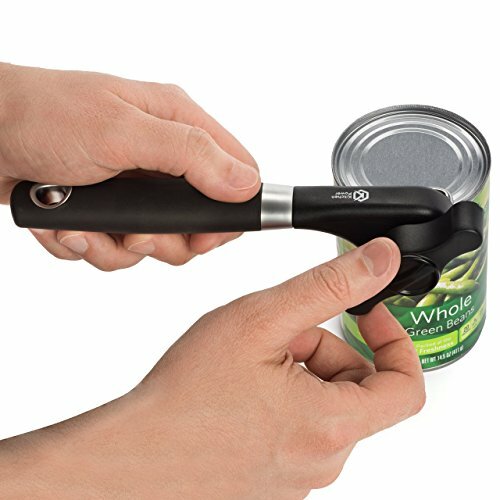 Just turn the handle and your can will be opened easier than ever, without the opener touching your food. 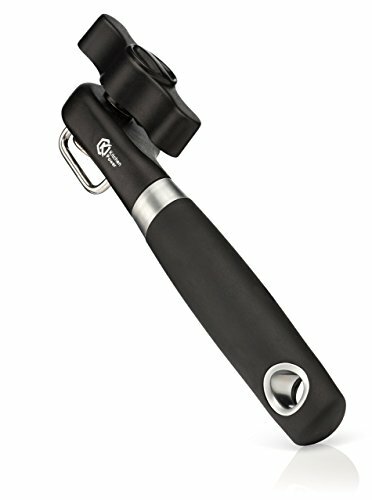 Note also that for extra safety, this smart manual can opener features a side cutting system to avoid injuries. VERSATILE- THOUGHTFUL DESIGN: This versatile opener can be used for any small, big, round, oval food can while it works great with your petâ€™s cans too! 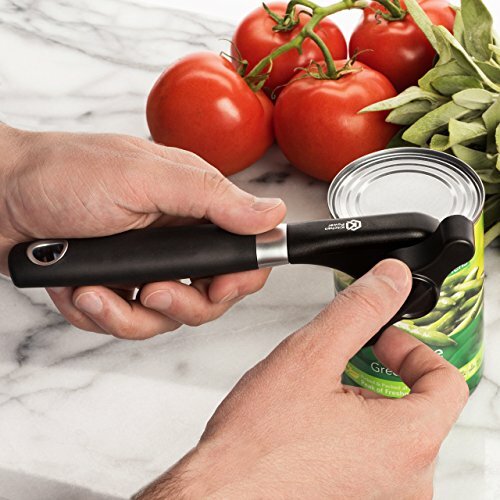 And never worry about transfer of tastes or smells as this can opener does not touch your food; but even if it happens to touch it; as It is made of food-safe materials, you have nothing to worry about! 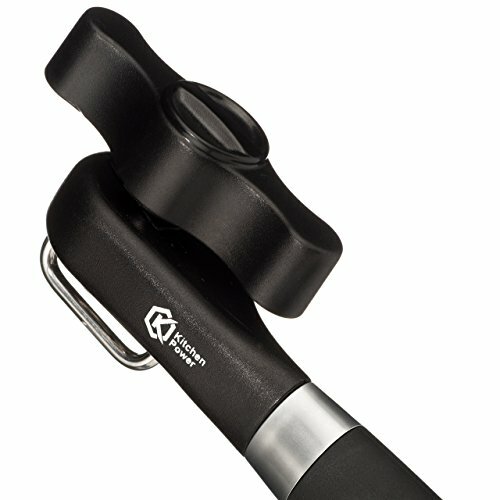 Note also that thanks to its portable, ergonomic design this manual opener is the perfect choice for camping, picnic and more! 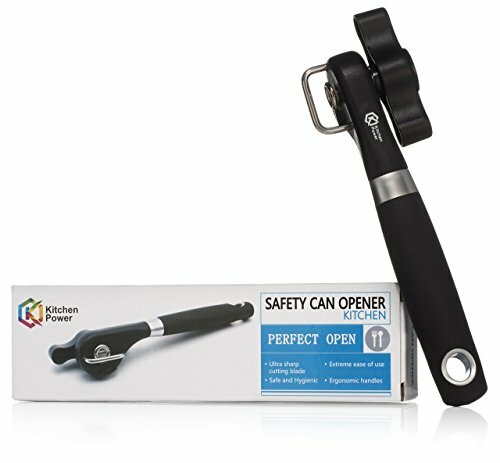 GET IT WITH CONFIDENCE + GREAT BONUS: Being so sure about the great quality and performance of this amazing safety can opener, Kitchen Power offers you a 100% Money Back Satisfaction Guarantee! Thatâ€™s not all. 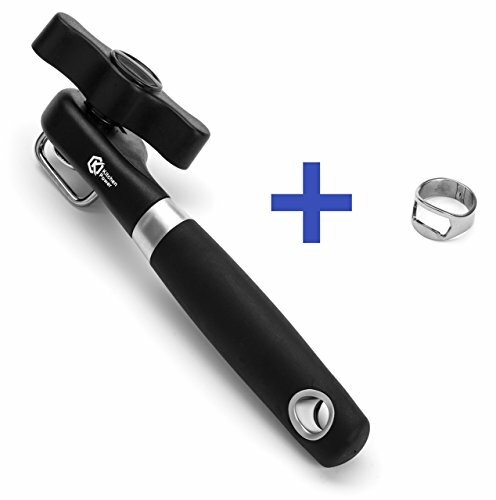 Along with your stainless steel can opener you will also receive a bottle opener ring completely for free! What are you waiting for? Order yours today! If you have any questions about this product by Kitchen Power, contact us by completing and submitting the form below. If you are looking for a specif part number, please include it with your message.